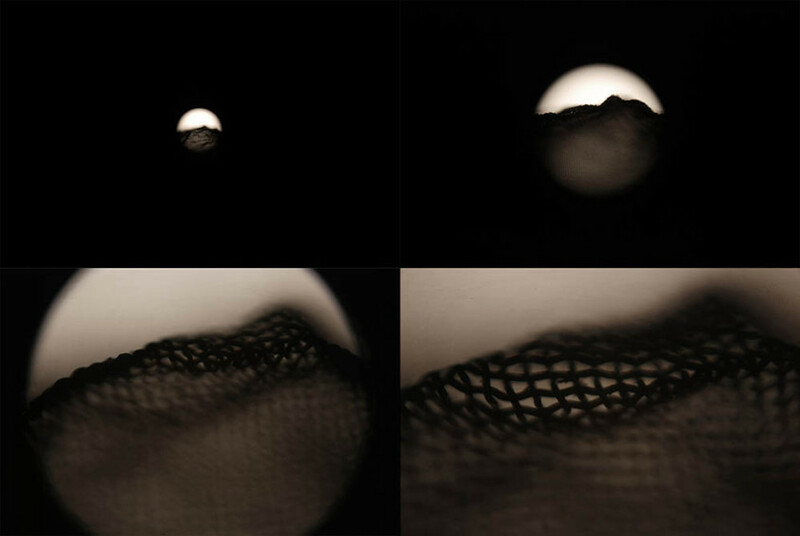 The wire series originated in 2003, and is based on the structure of the Magic Lantern slide projection work, through a mechanical control to repeatedly adjust the focal length to transform a regular piece of wire mesh into a moving image of a dynamic Chinese landscape (Shanshui); to explore how images change the way we see and imagine the outside world. Every single piece of this series of work provides different angles into this proposition. In Wire V, an episcope (Opaque Projector) is used as the imaging principle. 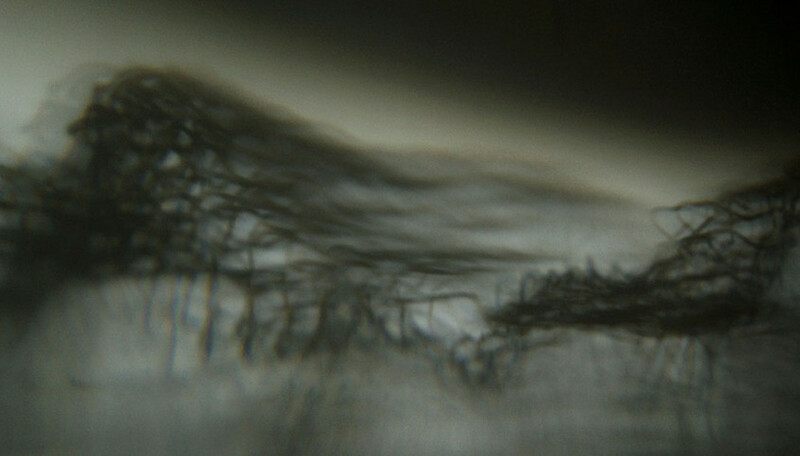 The strong light illuminates the mesh wire, and is directed through a large camera lens focusing the image, which is then projected as an exquisite image. With the rapid development of digital technology, the requirement for image resolution continues to increase, from photography, video equipment to display devices. Format from full HD, 2K, 4K or even 8K in the future, exponentially increases every few years. In addition to the promotion of the commercial market, I am curious about the deeper desires that drive the endless pursuit of reproduction far beyond what the body can sense. Or we just change a way in which to pursue a space that is feasible, hopeful, visitable and livable. The sense of distance in image is the theme explored in Wire IV. Only image-recording apparatus can see things by zooming in or out. 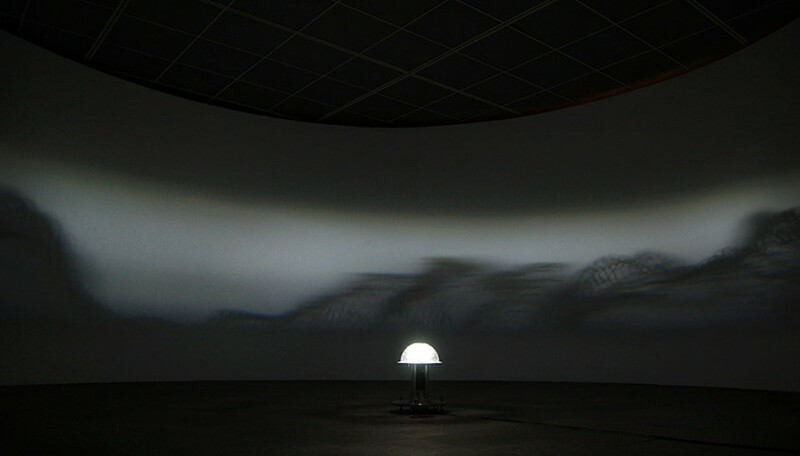 It creates a “fictional sense of distance” that is detached from people’s position, distance, and perspective in space. In the wide-angle shot, people seemingly get far away from nearby object, indulging in the fictional wide space and alienation. In the telephoto shot, we appear to be watching and peeping closely without the danger of close encounters. The image changes our way of looking at the world and reconstructs out perception of reality. It gave us unprecedented freedom with a minor side effect ——— it’s hard to remember where we stand when looking at the world. 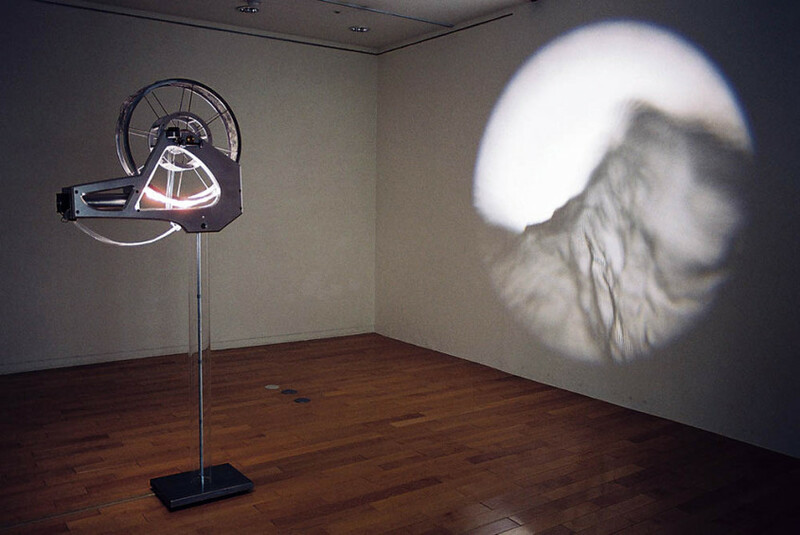 A projector at the center of a circular space starts to revolve slowly and to scan the wall with a bright light that exposes images in the space (a little like a lighthouse sweeping over the scenery and liberating it from darkness). Both the slow speed of the revolving projector and its sound slowly increase, and the images and light beam in the space start to flicker randomly. 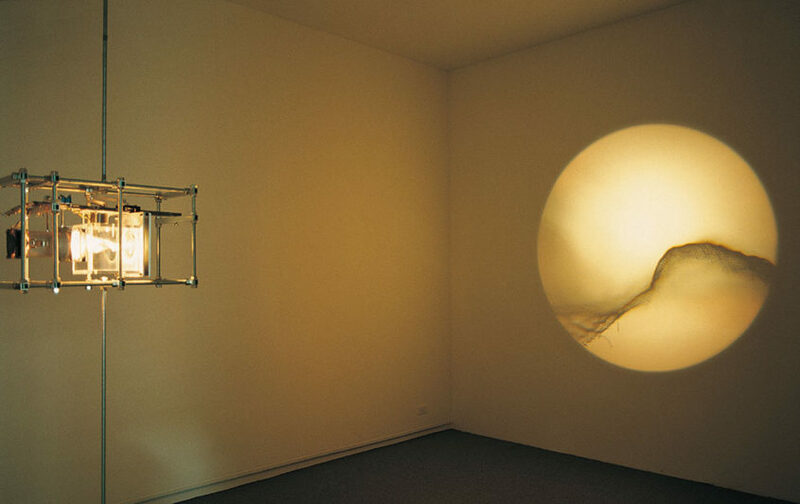 As the increasing speed reaches its limit, the flashing sensation lessens somewhat, the movement stabilizes and finally creates a continuous and calm ray of light revealing the surrounding images on the walls. After a period of time, the whole apparatus slows down and then starts again. 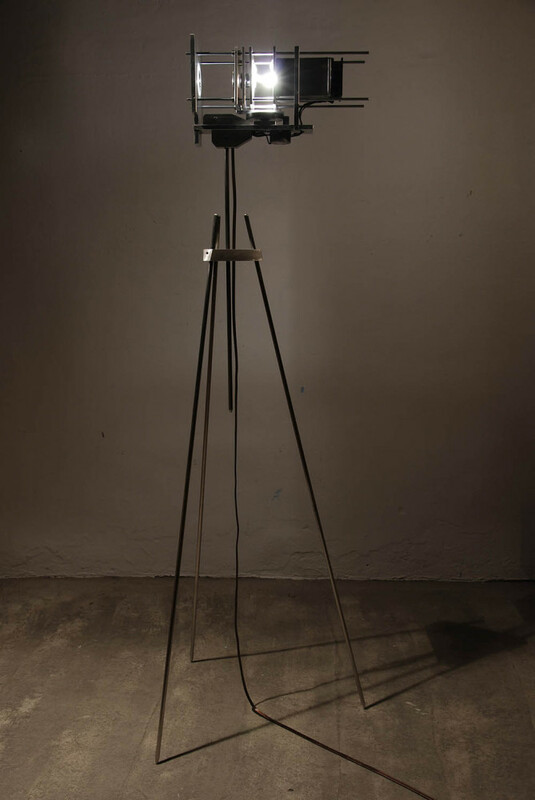 Generally speaking, the piece attempts to explore the concepts of speed, space, and perception. As I reviewed the artist statement for Wire I, I thought the second version should not be very different so I wouldn’t need to write redundant words. However, as I made the mechanism, I gradually felt I was learning something from the interaction of forms and ideas. It seemed I still had something to share after all. The core concept of Wire II is simply putting the infinite space of an image side by side with a spinning wheel of wire mesh material. The center of the creative process gradually shifted from the image to the mechanism and the relationship between them. The mechanism has the functions of producing the image and exhibiting its structure while suggesting a certain symbolism or a metaphor. Compared with Wire I, the new version with a roll of wire mesh material has a different light source and a new set of lenses. 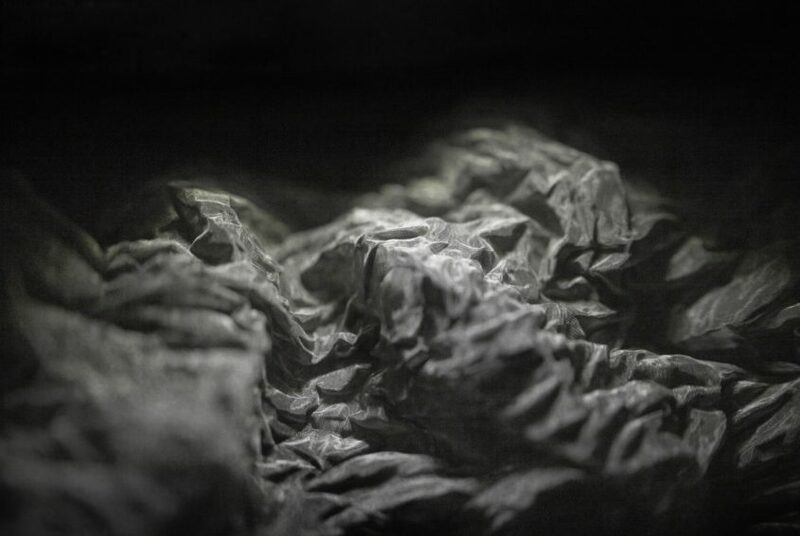 To make an analogy, if the previous piece is like the foggy and heavenly atmosphere in Chinese landscape painting of Southern Song Dynasty, perhaps Wire II resembles the magnificent mountains and rivers in the painting of Northern Song Dynasty. It is probably dangerous to talk about my work in terms of the characteristics of Chinese ink painting at the risk of sloppy conceptualization. Nevertheless I have to admit that my idea for the space of image was inspired by the traditional Chinese painting scroll. As I explore the possibilities of the space of image and study about mechanisms, sculpture, installation art and more, along with the “East” in the back of my mind, it seems the story of the Wire series will go on and on. 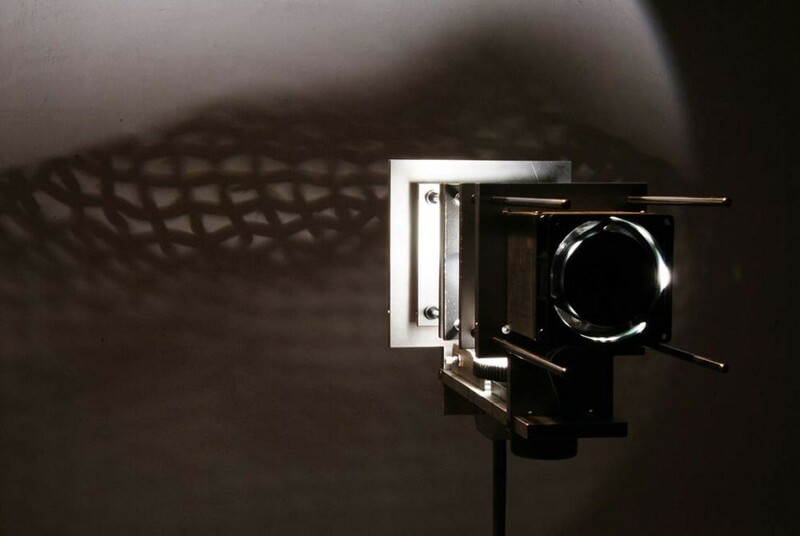 The structure of projector is similar to that of a slide projector.The greatest difference is that the imaging magnifier in front will constantly move back and forth and change the focal length within a range of 10 cm.When the projected object(the wire netting) is in focus,the sharply focused parts keep shifting,suggesting a wandering search for something.With the changing focal length,the image keeps disappearing and reappearing. I spent a lot of time thinking what kind of projected object and form could best produce this effect.I finally decided on……wire netting or a certain kind of landscape. The regular,monotone form of wire netting and its cold industrial material rather match the projector.At the same time,it is flexible and formable.Each folding will leave behind some trace. It reminds me of the feeling that xuan paper gave me when I did ink painting. The human trace left behind contrast with the coldness of the material. The small wire netting of some 10 sq. cm. (the actual area being projected is even smaller) form a strong contrast with the image being projected.To me,it is like an allegory about media: the development of media constantly changes our way of seeing the world and our attitude towards reality.The projector modifies the image of the wire netting and creates a new space for the projection of meaning.But in the end, the work seems to be telling an ancient story.